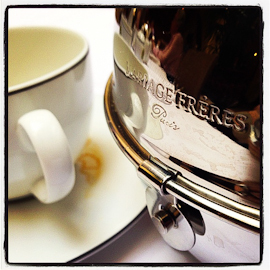 In France, Mariage Frères is synonymous with the art of tea. The brand is as well-known in the world of tea as Kleenex is for tissues. The Mariage family’s first tea company was established in Paris on June 1, 1854, although the family’s work in sourcing tea from around the world dates back to 1660. 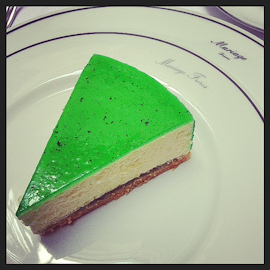 Mariages Frères is where you go when you want to be pampered. The service is impeccable, though do not expect it to be quick. 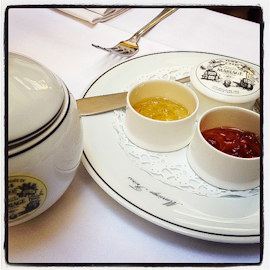 The servers take their art of tea seriously and the Mariage Frères experience cannot be rushed. Visit one of the several Paris tea rooms for brunch, lunch of high tea and enjoy top quality foods with exquisite presentations, and of course your own pot of tea. Be prepared to choose from an entire catalogue of tea options, or feel free to ask your server for a recommendation (credit caleb). Tea, like wine, can be properly (or improperly) paired with specific foods. The fact that each Mariage Frères dish includes a tea in its list of ingredients may make this task of pairing a bit easier. 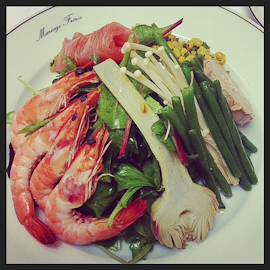 My weakness at Mariage Frères is surprisingly not the finely crafted desserts, but rather the “snob salad”, which includes “salad” ingredients such as artichoke, green beans, sprouts and greens, as well as “snob” items such as foie gras, shrimp and smoked salmon. The touch of quinoa rounds out the dish to perfection. Of course the desserts are a work of art. Even if you do not order a Mariage Frères dessert, you must make a trip to the dessert cart to admire them. Be sure to leave a bit of time after your meal to visit the gift shop and take home some tea (or maybe a €2,000 gold-plated teapot?) as a souvenir. your articles. I’ll bookmark your weblog and take a look at once more here frequently.